I wrote you some days ago saying that we could probably use your article4 on Wagner5 and asking you to call at the office6 the first of the week and see me in reference to the same. You have not shown up, nor answered my communication. I would like very much to see you about this before the week is out, as if we use it at all we must have it in the next number. Please let usknow in some way what your wish in the matter is. If possible call at the office some time next week. I will be in every morning from 9 to 12. Yours very truly, Willa Cather. Wagner, Richard (1813-1883). 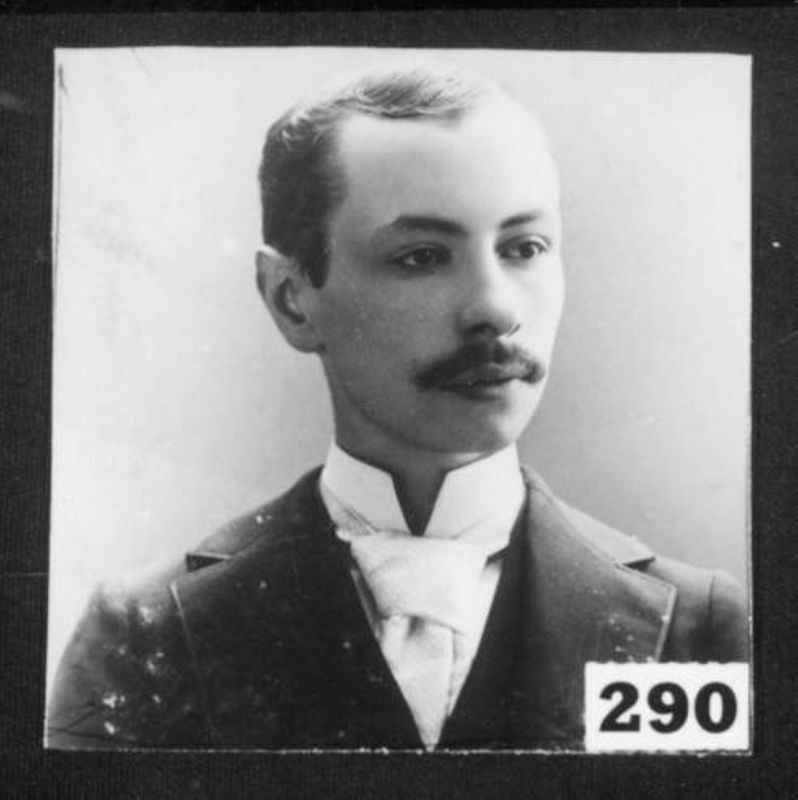 German composer. Richard Wagner was born in Leipzig, Germany. He taught himself to play the piano and the principles of composition, partly by studying the scores of Beethoven's works, and was also deeply influenced by his reading of Shakespeare, Schiller, and Goethe. His early operas before Rienzi (1842) were unsuccessful. In the wake of its success he began to develop his more characteristic style. 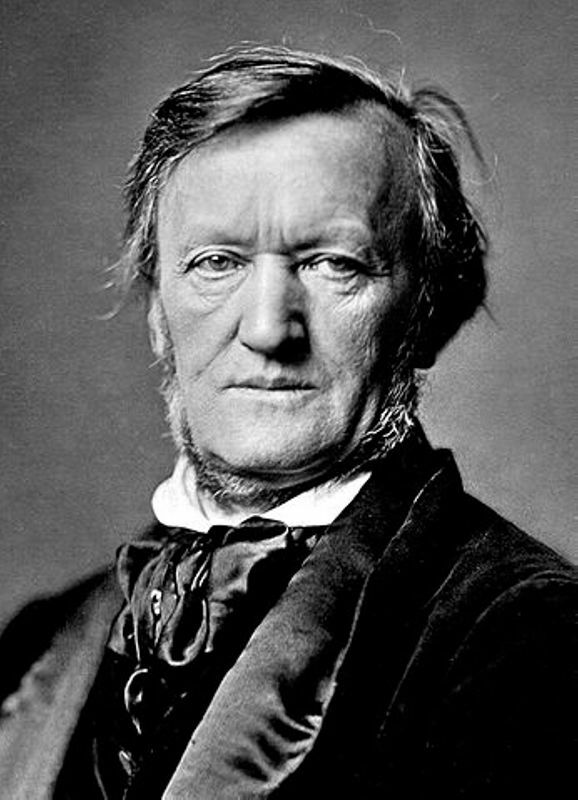 Although The Flying Dutchman (1843), Tannhäuser (1845), and Lohengrin (1850) were popular, critics were often hostile, and his involvement with the Revolution of 1848 in Germany forced him to flee into exile in Zurich, where he wrote on social and musical issues, and composed the poem, The Ring of the Nibelung, upon which his four Ring operas were based. The difficulty of staging these titanic works led him to put them aside for such works as Tristan and Isolde (1859). His financial difficulties were alleviated when Ludvig II of Bavaria became his patron. Wagner toured Europe to raise money for a new kind of theater at Bayreuth, which would be capable of presenting the Ring; the work was first given in its entirety at Bayreuth in 1876. His last work was Parsifal (1882). 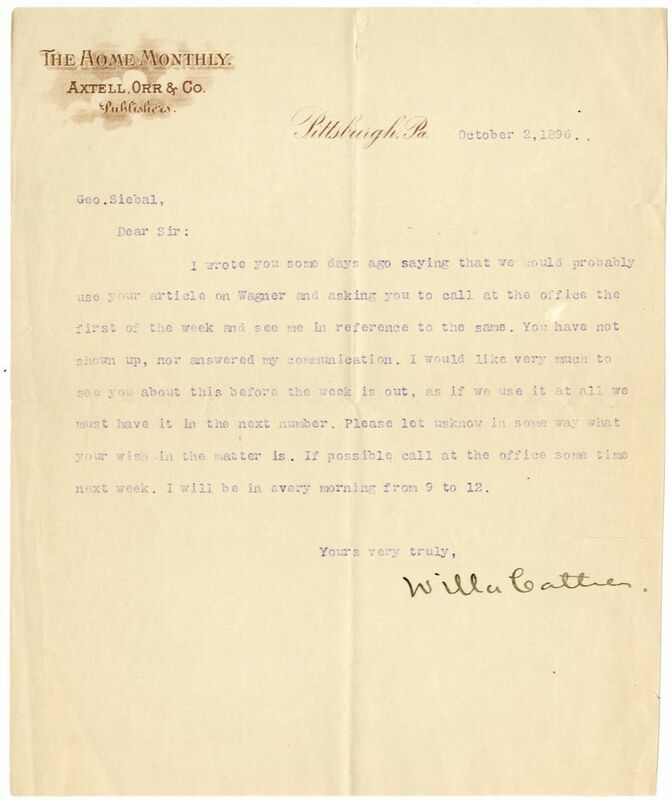 Cather was an avid opera fan, and references to his works appear throughout her works, most prominently “A Wagner Matinee” (1904) and The Song of the Lark (1915). She recommended Wagner’s autobiography My Life to Elizabeth Shepley Sergeant, praising it as “all action” (#0219), and wrote a preface for a 1925 edition of Gertrude Hall’s Wagnerian Romances (1925).